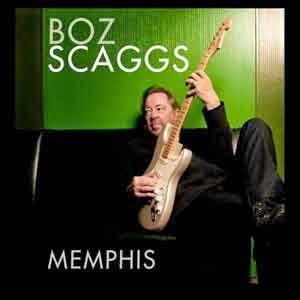 Call it intuition or a sixth sense or just faith in his own perception: Boz Scaggs knows when he’s onto something good. In a career spanning more than forty years he has explored virtually every genre of American popular song, producing a string of eclectic, innately soulful classics along the way. Such empathy imbues his most recent studio LP, Memphis (429/Savoy Records), which features a fiery mix of rhythm and blues, rockabilly, and soul—bread and butter not only for Scaggs but for the seasoned stable of musicians with whom he recorded it as well, including bassist Willie Weeks, guitarist Ray Parker, Jr., keyboardist Spooner Oldham, and drummer Steve Jordan, who also served as the album’s producer. “The focus was definitely on the R&B side of things, but we were able to stretch it out,” says Scaggs, calling attention to a diverse set highlighted by relative obscurities (the Moments’ “Love On a Two-Way Street,” Tyrone Davis’ “Can I Change My Mind”) and outright curveballs (Willy DeVille’s “Mixed Up, Shook Up Girl,” Steely Dan’s “Pearl of the Quarter”) amidst more familiar or otherwise traditional selections. The sessions commenced over three days at Royal Studios in the heart of Tennessee’s capital, where late producer and Hi Records founder Willie Mitchell, along with such soul singers as Ann Peebles, Syl Johnson, and Al Green, once churned out some of the most salubrious sides ever put to wax. In fact, Scaggs and company knocked out a stirringly faithful rendition of Green’s classic “So Good to Be Here” to yield one of the album’s immediate standouts, replete with the Memphis Horns punctuating its rhythm-thick arrangement. Perhaps because of the unassailable quality of some of these songs Scaggs is modest about his merits in rendering his own versions of them. “I’m not a real natural singer or musician,” he says. “There are a lot of other people who have a better musical instrument than I have. There certainly are a lot of other guitar players that have more facility—I just know that about myself. But what I do have is a lot of love. I really love this music. Arguably the album’s most resonant moment—where Scaggs’ talent best complements the character of a particular song—is on Tony Joe White’s masterpiece, “Rainy Night in Georgia,” which Brooke Benton most notably turned into a Southern standard in 1970. Scaggs owns it from the very first words—“Hovering by my suitcase, trying to find a warm place to spend the night...”—his voice descending low to add a certain solemnity to one of popular music’s all-time-great opening couplets. He betrays a sense of fulfillment in recalling the Memphis sessions, as if every bum note he’d ever hit in his life, every tedious moment he’d ever been hung up on phrasing or intonation, prepared him for the experience. 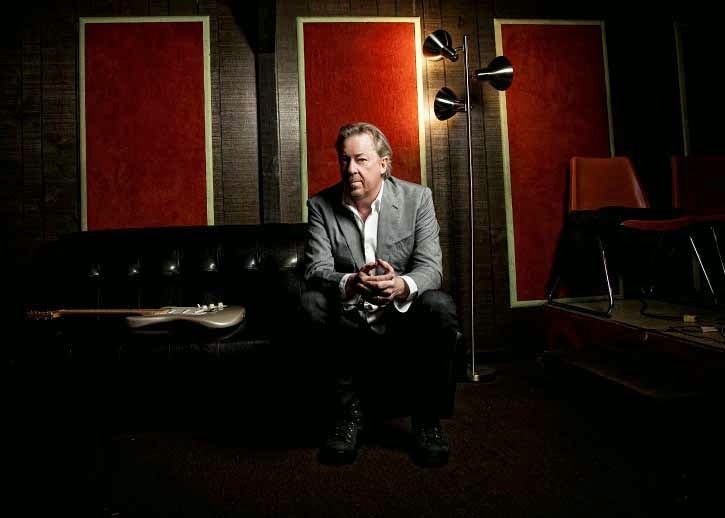 In familiarizing himself with the material and where it came from, Scaggs not only gained a richer appreciation for the craft of songwriting in general but, it seems, for his own such skills as well. He contributed two original songs, “Gone Baby Gone” and “Sunny Gone,” the latter of which actually dates back to his 1976 breakthrough album, Silk Degrees, and in its wistfulness is reminiscent of moments like “Sierra” and “Lost It” on his 1994 LP, Some Change. “I’ve been carrying that song around with me for quite a few years and just never really felt it had a place,” says Scaggs, who in recalling the stream of false starts and misconceptions that plagued its composition underscores the frustration he must’ve felt along the way. It was Steve Jordan, in fact, who persuaded Scaggs to see it through, and the end result not only stands among his finest compositions to date but also serves to illustrate that the reward was worth the effort. The same could be said for Memphis as a whole.